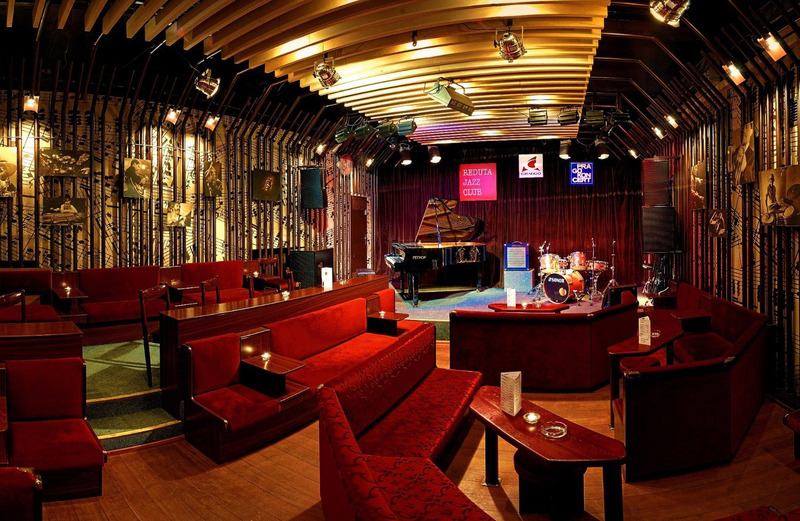 One of Europe's oldest jazz clubs, Reduta Jazz Club was established in 1958 in the heart of Prague. Known for organizing one of the world's oldest jazz festivals, the club often hosts some of the genre's biggest stars. In 1994, Bill Clinton played his sax here during a jam session with other musicians. In addition to regular jazz evenings, the club hosts other types of events as well, including comedy shows and pantomime performances. Check the website for upcoming events, or simply stop by to take a break from sightseeing and enjoy a few drinks with friends. It couldn't be easier to arrange your visit to Reduta Jazz Club and many more Prague attractions: make an itinerary online using Inspirock's Prague trip planner . A good jazz club in a city that has very few of those. Reasonable prices for music and for drinks. Nice sitting arrangement. Please just don’t bother. Performer was good, but wow service was worst I’ve experienced in my 3 week trip. Bar wait was 45 mins whilst performance was on, missed half the show waiting for a water. Just don’t. Try another jazz club in the area, there are plenty. Had an amazing time here! I heard it was one of the top 10 jazz clubs in Europe so had to check it out just for the experience of it, not sure if I would have liked it. But Charlie slavik and everyone who performed with him into the night were extremely talented enjoyed it way more than expected and will have to go again. Live music at its finest! Solid venue. Great sound. Staff are friendly. Music is hot. Likely the very best jazz club in Prague. Many world famous jazz musicians took a concert in cozy Reduta Jazz Club. Highly recommended for locals and travellers. The main concert hall includes approx. 100 seats (small benches) capacity, so don't be late, preferably buy tickets online. You can also enjoy your drink and appetizer during concert. Jazz music CD shop is open before, during and after concerts. Every day, we help thousands of travelers plan great vacations. Here are some tips on how to use your Listing Page to attract more travelers to your business - Reduta Jazz Club. Promote your permanent link - https://www.inspirock.com/czech-republic/prague/reduta-jazz-club-a123075653 - on your website, your blog, and social media. When a traveler builds a plan from this page, the itinerary automatically includes Reduta Jazz Club. This is a great way for travelers looking for a great vacation in your city or country to also experience Reduta Jazz Club. Promoting your link also lets your audience know that you are featured on a rapidly growing travel site. In addition, the more this page is used, the more we will promote Reduta Jazz Club to other Inspirock users. For best results, use the customized Trip Planning Widget for Reduta Jazz Club on your website. It has all the advantages mentioned above, plus users to your site can conveniently access it directly on your site. Visitors to your site will appreciate you offering them help with planning their vacation. Setting this up takes just a few minutes - Click here for instructions.